For ABT TRAC stabilizers, including 220 model. 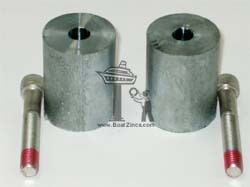 Kit includes two anodes with mounting bolts. TRAC® is a registered trademark of Arcturus Marine Systems.